I write romance. 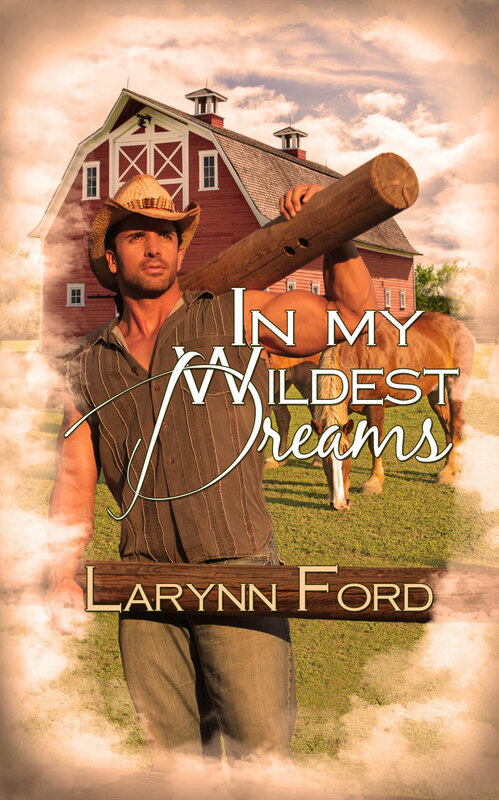 Paranormal and contemporary romance. My daughter once told me that reading my books always made her hungry. Wait. What? Hungry? Hungry for reading? Romance? I didn't really want to hear any further thoughts on that subject. Then she reminded me how often the characters in my books gather around the table for food and conversation. This gave me an idea. Maybe I should do some kind of recipe collection containing the foods from my books. Great idea for sure, but never implemented. Last Thursday in a fall themed post, I added a pumpkin brownie recipe that stirred quite a bit of interest. I'm glad those who stopped by enjoyed it and hope someone who tried the recipe will leave a comment telling us how they were. The brownie post brought back thoughts of my original recipe idea and Thursday's Tasty Temptations was born. I decided to feature a food and the excerpt surrounding the meal every Thursday here on the blog. I'm going to start at the beginning with food from my first book, In My Wildest Dreams. Just after noon, I decided to walk to the coffee shop across the street and have a chef salad with my favorite, blue cheese dressing and a Diet Dr. Pepper. Quite tasty indeed and since my day-dreaming hadn’t allowed time for my morning coffee, I got an extra large dark roast with real cream to go and headed out the door back to work. I left the coffee shop sipping my long awaited dark roast and started back across the street, waiting of course for the light, when I heard tires squealing to my left. As I turned to see what was causing all the commotion, a van barreled out of nowhere straight toward me. Stunned, and reacting in slow motion, I lifted my foot to step back onto the curb when someone jerked my right arm and pulled me out of the van’s path. Caught off balance, I found myself falling backward and landing hard on my rear end. Both elbows stung from the deep scrapes caused by contact with the sidewalk. The air was forced from my lungs on impact. My bones and joints ached. Tears gathered in my eyes as I tried to regain my wits. I turned my head to thank someone for saving my life. But only an empty sidewalk looked back. 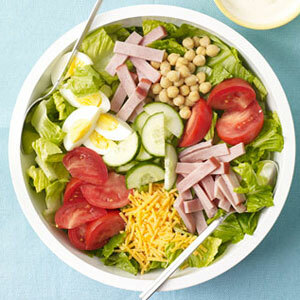 The definition of chef salad from Wikipedia is: Chef salad (or chef's salad) is a salad consisting of hard-boiled eggs; one or more varieties of meat, such as ham, turkey, chicken, or roast beef; tomatoes; cucumbers; and cheese; all placed upon a bed of tossed lettuce or other leaf vegetables. Here's a tasty looking salad from Woman's Day Magazine. If you are a salad lover like Lynzi and myself, you're bound to have your favorite salad toppings and dressing. Tell me about them in the comments.